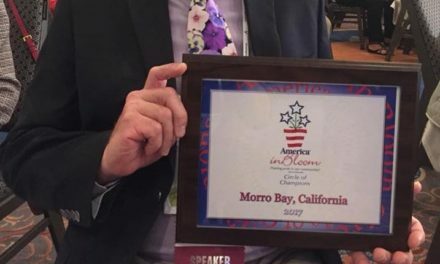 Morro Bay won first place national honors awarded by America in Bloom in its annual competition among America’s best cities. Morro Bay won this distinction from among cities in the 10,000-14,000 population category. Last year, Morro Bay was tops among cities in the 6,000-10,000 population category. 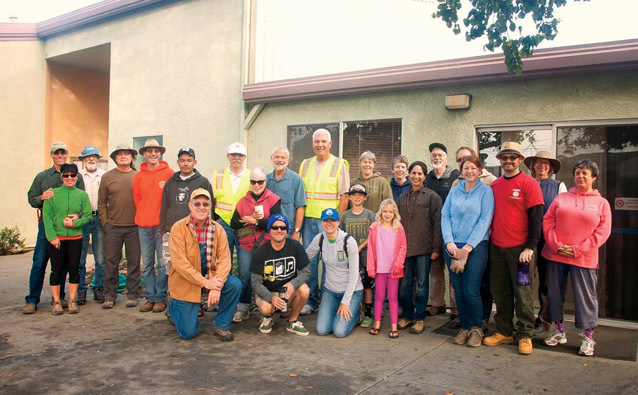 America in Bloom’s program is a rigorous two-day evaluation that takes place following submission of a 20-page community profile that is compiled by a group of volunteers who are organized as Morro Bay in Bloom. 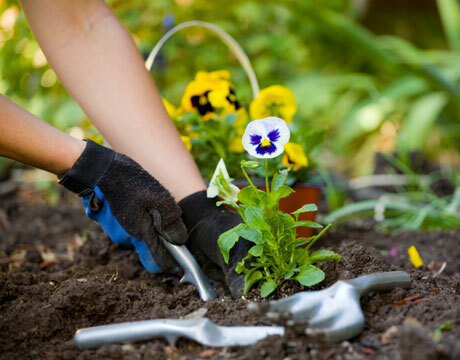 Cities are evaluated on their floral displays, landscaped areas, urban forestry, environmental efforts and overall appearance. Morro Bay in Bloom volunteers work every Saturday morning from 9 a.m. until 11 a.m. to plant, prune, pull weeds, pick up trash and generally improve public spaces in coordination with Morro Bay Public Works Department, San Luis Obispo County Parks and California State Parks. 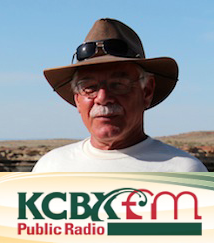 To learn more about Morro Bay in Bloom, go to morrobayinbloom.org.